The HD17142-10 is suitable for broadband high power linear applications, this benchtop amplifier utilizes high push-pull MOSFET power devices that provide high gain, wide dynamic range, low distortions and good linearity. 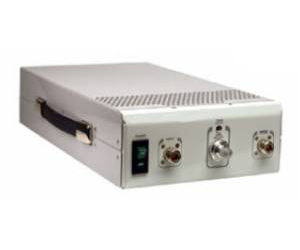 Exceptional performance, long term reliability and high efficiency are achieved by employing advanced broadband RF matching networks and combining techniques, built in high quality power supply, EMI/RFI filters, machined housings and all qualified components. Small form factor and lightweight ß Standard front panel manual gain adjust? Suitable for all modulations CW/FM/PM/AM/Pulse/Digital?